Oh my goodness! Roth seriously knows how to make you turn pages. She has perfectly woven another tale that makes you race to the finish. The ending...wow. That's all I have to say. As for characters, I loved Tris. She wasn't perfect by any means, but that's what made me able to relate with her. The character arc and growth of Christina was probably the one I enjoyed the most. So many characters grow in this book, but Christina really displayed forgiveness and I think that's something that needs to happen more often. Marcus, well, I'm still not sure I like him, but I'm glad that things worked out the way they did with him. :) Roth's world building is exceptional. You see everything she's creating, and it's such a breath of fresh air because it's not overdone. For her, it just seems like a natural affinity. It's great! Personally, I didn't like the way that Tobias acted in a good portion of the book, but that could just be me. I thought he acted a bit erratic, but like I said, that's just my personal opinion. It may sound fickle to take a half star for that, but it just really bothered me. Other than that, I loved the book! 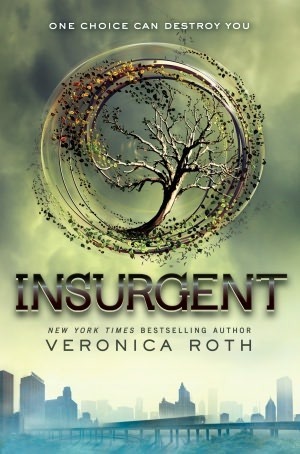 You can't go wrong with Roth's Divergent and Insurgent. They're books that are impossible to put down, so I hope you have the time to sit and read! This has been a series that has captivated me the same way that Hunger Games, Harry Potter, and Twilight did. 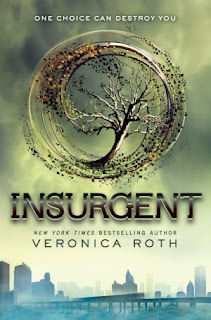 That's not to say that Divergent & Insurgent are *like* those books (but if you were going to compare, Hunger Games is definitely a logical choice to read if you haven't! ), but just that her writing is as powerful and commands attention. 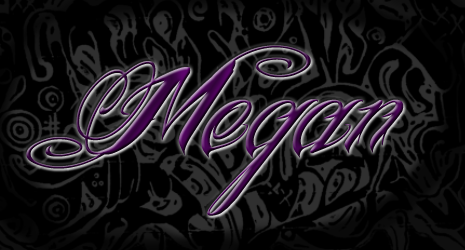 I love it, and I think you will, too! I clear my throat. "So, this plan. It's kind of stupid, right?" "Oh, come on. Trusting Marcus is stupid. Trying to get past the Dauntless at the fence is stupid. Going against the Dauntless and factionless is stupid. All three combined is...a different kind of stupid formerly unheard of by humankind." People, I have discovered, are layers and layers of secrets. You believe you know them, that you understand them, but their motives are always hidden from you, buried in their own hearts. You will never know them, but sometimes you decide to trust them.